As China has become one of the world’s fastest-growing economies, many expatriates are willing to work in China. Playing a vital role in international trade, many provinces in China are developed and industrialized, especially in the coastal regions. 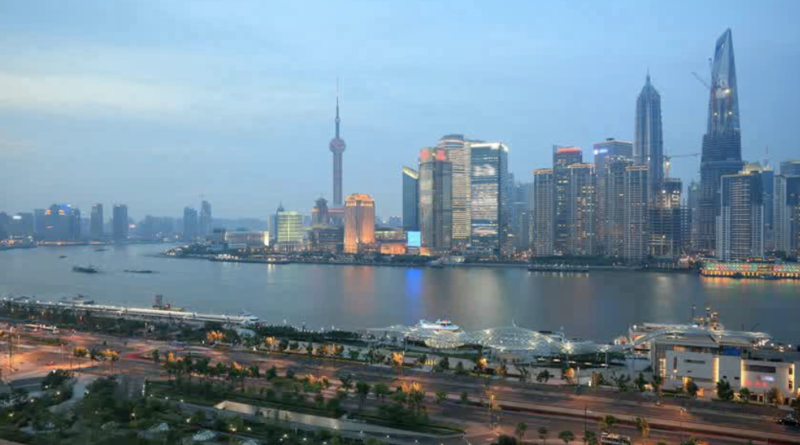 Major cities such as Beijing, Shanghai, Guangzhou, Hong Kong and Macau have attracted many foreign capital investments and financial institutions. These cities have become major economic centers, and there are more and more expatriates coming to China to work. However, most foreign employees are not entirely familiar with their employment requirements in China. In this article, we will introduce expatriate employment, hiring expatriate employees in China and the importance of expatriate healthcare insurance. Many foreign employers in China nowadays prefer candidates with overseas working experiences – this is not only because these companies intend to build gaps between language and culture of strategic cooperation with foreign investors in China, but also local Chinese firms seek to make investments overseas. In Shanghai, according to job hunting platform highpin.cn at present, high paid senior positions such as Group CEO in manufacture and internet field, the salary range is between $150,685 and $226,027 USD per year. A Private Banking Wealth Senior Management position in Shanghai might expect a salary between $105,479 and $150,685 USD per year. A General Ledger Accountant in Guangzhou within a real estate group might earn up to $256,164 USD per year depending on the experience and skills of the expat. A Product Manager in Beijing of fund and securities area are paid $54,246 USD yearly. Many foreign job seekers are highly qualified and usually have related work experience. Therefore, local statistics showed that there is a significant demand for hiring experienced foreign professionals within both international companies and even local Chinese operations. Expatriates who are bilingual, with experience of working both overseas and in China, are often considered for many top-level management positions. If an expatriate can reach a certain level of Mandarin Chinese – spoken and read, then employers tend to pay them more than those without Chinese language skills. According to labor law in China, most foreign employers hiring expatriate employees need to make sure that the foreigner has a valid working permit, employment permission document, and lastly a residence permit. Please note that the employer is required to apply to the local labour government authority for employment permission for the expatriate before hiring the expatriate employee. In order to obtain a residence permit, the expatriate employee should apply in person within 30 days to the local Public Security Bureau after obtaining the employment permission and the working permit. It is wise to get professional advice from a tax or legal expert if you are going to be employing expats in China. Expatriates with valid work permits can usually open local Chinese bank accounts. The cost of medical treatment at private medical facilities in China is quite expensive. Many foreign companies in China offer local healthcare packages to expatriate employees, which may include some healthcare benefits. However, these local plans are usually very basic and are not suitable for most expatriates who probably want to be covered internationally, not just in China. For example, a local healthcare plan does not include emergency evacuation and repatriation – expatriates will need it in the event of a medical emergency. The local healthcare plan does not provide medical coverage when expatriate employees travel abroad or go back home. In fact, many companies require expatriate employees to work outside of China for a certain period of time. Without being properly insured, you are putting your company’s financial situation and employees at risk. A plan that will provide excellent medical coverage for the expat employee and his or her family is vital and an international group insurance plan can provide better coverage and premiums for the employer versus having the employee purchase his or her plan. A high-quality group plan will also help expat employers retain and attract employees. If your employer does not provide the desired healthcare plan, you need to create a tailored expatriate health insurance plan that meets your requirements. A plan offers hospital coverage, outpatient treatment, emergency medical evacuation, as well as vision and dental care, cancer care, etc. An excellent international health insurance plan should help you maintain your physical, mental and financial health. The cost of international group health insurance will vary by plan. Expat Financial offers several different international health insurance plans for expatriate employers and even individual expats who are not under an employer plan in China. We also provide excellent service before and after you purchase your international health insurance plan in China. If you have questions about our group or individual international medical insurance plans or if you want to review your needs and produce a customized quote, please contact us or complete the quote form.